Home > Our Projects > Weekend Getaways > The Shabbat Program > Register now for Community Shabbat in Havat Yair! 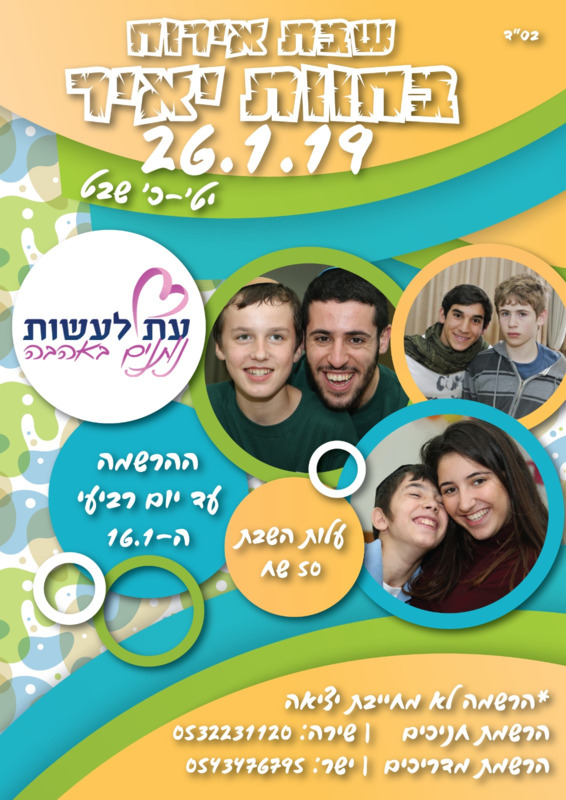 Community Shabbat in Havat Yair for Netanya branch will take place on January 26th, 2019. The registration will be open until Wendsday, January 16th, 2019.